Grass 10 campaign manager John Maher joins us to give an update on grazing conditions across the country and his top tips for the rest of spring grazing rotation. John recalls the perfect grazing conditions experience in the month of February which allowed many farmers to hit the target 30% grazed by March 1st. He explained that this was demonstrated particularly well on farms that had optimum stocking rate and high 6 week calving rates. The mixed weather including heavy rainfall and snow during the first ten days of March means that farmers are experiencing more challenging grazing conditions. 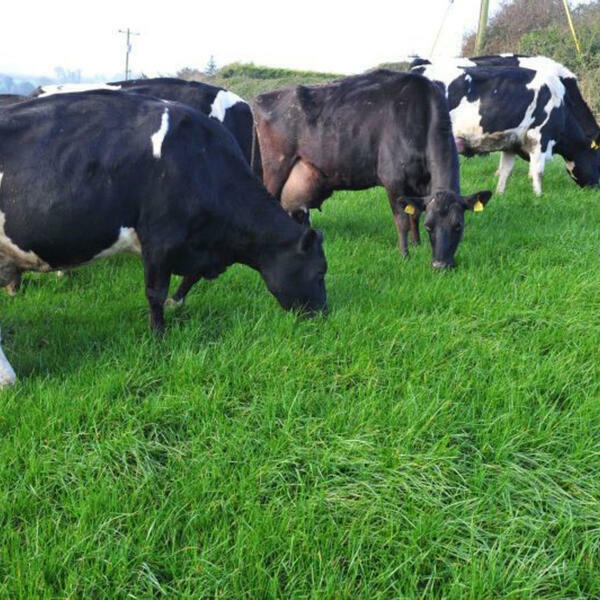 To maintain high levels of grazed grass in the dairy cow's diet, John encourages farmers to adopt on/off grazing and eliminate silage in the diet where possible. John reminds us why this is important - each 1 kg DM (5 kg fresh weight) of silage will reduce grazing time by 30-45 minutes per day. Cows indoors by night should have no silage available after midnight to ensure they are keen to graze after their morning milking. To overcome challenging ground conditions, he encourages farmers to walk their farm to identify the driest paddocks. Factors to consider when selecting paddocks should include grass cover, infrastructure and ground conditions. Finally, John reminds us the second round of fertiliser is due to be spread on farms now. Farmers should spread 40 units in a combination of chemical and organic Nitrogen. Where farmers are busy, consider the contractor for this task!